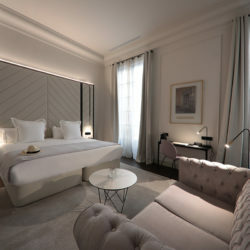 Luxurious and elegant, Summum is the latest boutique hotel to open in Palma’s glamorous epicentre. Its stunning contemporary restoration doesn’t detract from its historic value as a prestigious 15th century stately home. For those wanting to pack culture, shopping and fine dining into their city break, the location is hard to rival. 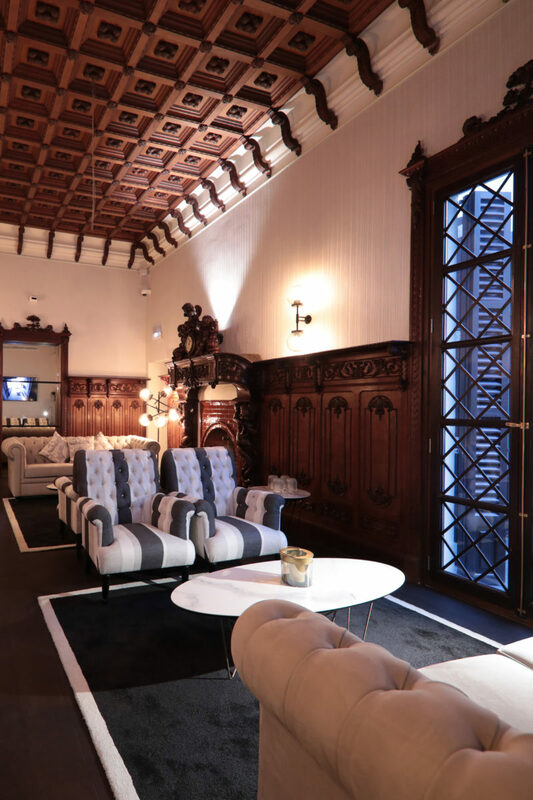 It’s walking distance from the upmarket shopping street of Jaume III, as well as the elegant Born avenue where luxury brands have taken root. Along the cobble-streets of the old town, art galleries and museums spring up between charming boutiques; while traditional patios and historic architecture are a constant reminder of the city’s rich history. With so much to see and do near the hotel, the only real challenge you’ll face is avoiding the temptation of staying in your luxurious hotel room. The Morgana Group, the family company behind this hotel, have proved that thirty years in the hotel industry can make all the difference. The 18 rooms are exquisitely decorated and have their own distinctive colour and aroma. All their suites have sumptuous beds with feather-mattress toppers and upscale amenities, characteristic of a premium establishment. The most lavish suite is the Parietti, which has a ceiling fresco painted by the 19th century Mallorcan artist, Francesc Parietti. Also part of the package when you book this room, is a Porsche Macan S, at your exclusive disposal. If any stresses remain after checking in, they can be soaked away under the vaulted ceiling of Wellness Spa. Where stables once would have been, the unconventional creations of their experienced French chef now take guests on a sensory journey. The restaurant, Equus, specialises in French cuisine and uses only the finest ingredients. A love of local culture is also reflected in their imaginative dishes. Certainly, it’s a great place to begin your gastronomic tour while in Mallorca.